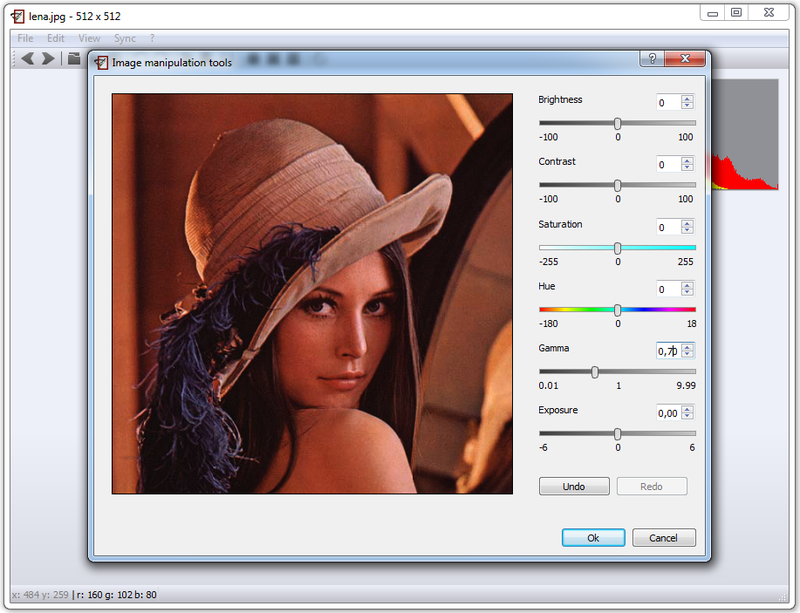 In the last two weeks the image manipulation tools was completely redesigned. Not only the GUI changed but also the source code changed a lot. Let's start with the most visible thing. Sliders have a new look which makes the dialog look more professional and appealing. The difference between this and the previous look is noticeable. To the list of manipulation tools was added the exposure control. I will present it in a separate post together with hue and gamma. The work on the code in the past couple of weeks was mainly a research project. I was trying to find the best method to use for applying the sliders changes to the image in the main window. Because the changes made by different sliders stack on each other, the process to make them can be slow. Especially for big images. At first the best way seemed to use 16 bit lookup tables (LUT). We create them very quickly and also we apply them very quickly on images. They are the quickest way of making changes on big images. In RGB space they can also be stacked together. We can then apply the LUT on the main image once. It sounds very promising but there is a problem. 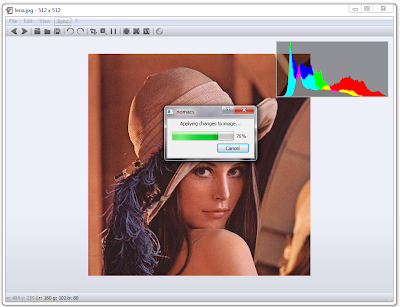 In our image manipulation dialog we can change the saturation and hue of an image. For this we need to convert the current picture from RGB to HSV space, change the Hue or Saturation value and convert back to the RGB space. Because the transformation is nonlinear the change can't be done using a lookup table in RGB space. With a simple 16 bit LUT in RGB we can't take into account all possible changes of saturation and hue in HSV space. For this we would need a 16^3 bit LUT which is too big. The remaining solution was to use LUTs for changes on a local scale (within one slider) and to create a history of changes. When hitting the OK button we go through the history an apply all changes to the main image. This process can be slow because we need to go through image pixels for every change in history. But this is the only way to do it without losing the accuracy of the image data. The positive side of having a history vector of the changes is that it enabled us to create the undo and redo buttons. We just need to go up or down through the history and recalculate the changes to that point.